We’ve included a couple of shout-outs for you this month, calling for marshals for the City to Sea Ultra and Marathon on 3 September, and acts and other attractions to make our Festival of Fun go with a swing on the same day. But, as you will see from this month’s newsletter, there are plenty of other ways to support THHN and be part of our amazing memory-making machine. We can’t do it without you, so once again a massive thank you to everyone who gives their time, their energy and their money to our charity. Entries are filling up fast for the City to Sea Ultra and Marathon on 3 September. you can run or walk the marathon. 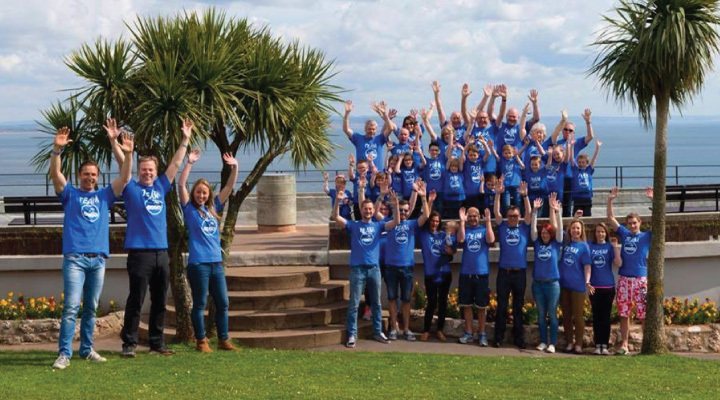 To date the City to Sea events have raised over £ 40,000 for THHN and it is thanks to the fantastic volunteers who help at the event, that we are able to put it on each year. We are now on the lookout for some fabulous volunteers to marshal along the route at this year’s City to Sea. If you fancy being a part of it please get in touch with Helen, our volunteer marshal coordinator, by email – helen@thhn.co.uk – with your preference for where you would like to be based on the day and what times you are able to help. Come and join us on this fantastic day of fun to support the charity and help raise money for THHN. Music Acts – can you help THHN make the live music stage rock all day long by performing for free? Performance displays – are you part of a group that can put on a 15-20 minute display at the event? Dance Schools, gyms, martial arts, majorettes. football skills and more – if you’ve got it, we’d love you to flaunt it at the Festival of Fun. Stalls, games and attraction – would you like a pitch? Please email brian@thhn.co.uk with your details. 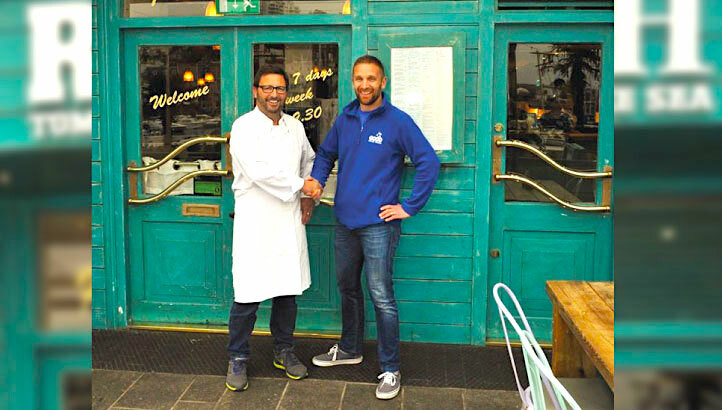 Celebrity chef Mitch Tonks has chosen THHN as his Rockfish Torquay restaurant’s charity of the year – for the third year running. 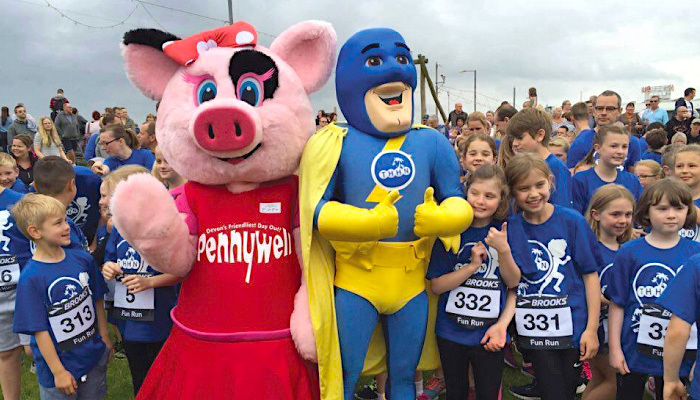 The fantastic THHN Memory Maker Fun Run, sponsored by Pennywell Farm, on Sunday 25 June is fast approaching. There’s still time to enter this one-mile run on closed roads around the first mile of the Torbay Half Marathon course on Paignton Green and it’s open to all ages. Participants receive a THHN Fun Run Medal. Entry is just £ 5 per person. Enter online at www.thhn.co.uk/funrun or enter on the day between 8am and 9am. We are delighted that over 540 schoolchildren are lined up to take part in the culmination of the THHN Schools Challenge at the Torbay Half Marathon this Sunday, 25 June. The children have been running one mile a week at school for 12 weeks, and on Sunday they will run the final mile around Paignton Green at the Torbay Half Marathon to complete their own half marathon. Tor Park Hotel general manager Aneta Edge came along to THHN recently and presented THHN fundraising manager Brian Lewis with a cheque for an amazing £ 1,000, raised through raffles at the Torquay hotel. 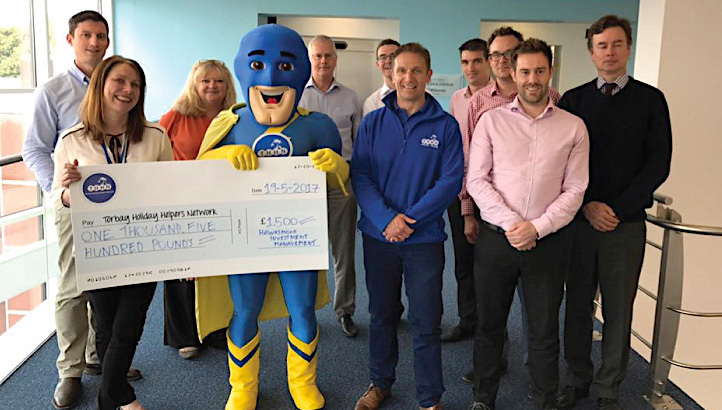 A huge heartfelt thank you to everyone from Hawksmoor Investment Management in Exeter, who presented Memory Maker Man and THHN founder Luke Tillen with a whopping cheque for £ 1,500. The donation came after the firm made THHN their charity of the year. Two fund managers also ran the THHN City to Sea Ultra last year, raising a further £ 5,000 for the charity. A big welcome to Hawksmoor as they join our merry team of Memory Makers. Still hesitating about joining us on Sunday 3 September for the THHN City to Sea Marathon or Ultramarathon? Hurry up – fewer than half the event places are left. You can walk or run the marathon. You can enter the marathon or ultra as a relay team. Whatever you decide, you can find out more and enter at www.thhn.co.uk/cts. In May, another busy month for THHN, we welcomed families to our Memory Maker caravan, the Clifton at Paignton and Crealy Great Adventure Park and Resort. Once again, we want to express our gratitude to our volunteers and supporters, and to our incredibly generous business supporters. These include Project Linus, Halletts the Bakers, R D Johns, Riverford, Teddy Mountain, Kayleigh’s Creations, Claire’s Cakes, Luscombes Butchers and West Country Fruit Sales Ltd, who donated wonderful gifts and food to fill hampers for the families to enjoy.